With this weekend's Super Bowl set to match up the Denver Broncos and the Seattle Seahawks at MetLife Stadium in East Rutherford, N.J., most of the attention has been focused on what sets these two teams apart on the field. However, there are many similarities between the two cities, including the types of vehicles that residents like to drive. To get a closer look at what fans of these teams enjoy driving, Cars.com conducted a study examining the buying habits of drivers in both cities. In each location, the Ford F-150 was the most popular automobile – which doesn't come as a surprise, considering it's the best-selling vehicle in the U.S. This was just the tip of the iceberg, however, as the majority of the automobiles searched for and purchased in each metropolis were trucks and SUVs. Additionally, buyers seemed to be curious about models such as the Jeep Grand Cherokee and brands like Subaru. Both were among the most popular searches and final purchases in the two cities. While Denver and Seattle may be alike in their general car-buying preferences, there are people who don't fit in those trends. 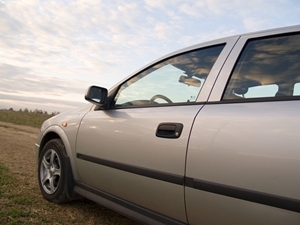 To find a wide array of Carfax-certified cars, trucks and vans, head to NJ State Auto Auction. 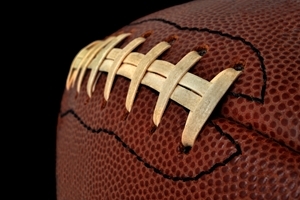 The lot has hundreds of pre-owned vehicles that could be perfect for your next investment, regardless of what team you root for. 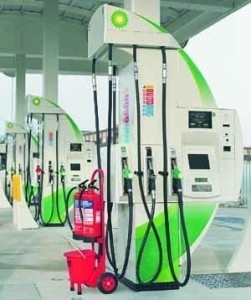 Many drivers are used to pulling up to a pump at a gas station and hurriedly selecting the lowest grade of fuel available, largely because it is usually the cheapest option. Although gas prices around the country are going down, they still remain high enough to put a major dent in the wallets of frequent drivers, so choosing the most economic type of fuel becomes important. However, some motorists may be hesitant to select the lowest grade of fuel. Premium gas often comes with additives that can clean and protect the engine of a car, and that could be enough to convince drivers that the preventative action is worth the extra cost. Edmunds.com recently asked several auto experts their thoughts on the topic, and the responses suggest that drivers can be comfortable choosing the most affordable option for their vehicles. According to the feedback from experts, even the most basic fuel won't harm a car. New technologies allow vehicles to adapt to a wide variety of fuel types, so moving from a premium grade to a basic won't cause any performance problems. "It's not like any of the fuels are totally junk," John Nielsen, director of engineering and repair for AAA, told Edmunds.com. "If you buy gas from Bob's Bargain Basement gas station because that's all that's available, it won't hurt your car." Drivers may be comfortable using any type of gas, but they still need to pay close attention to the vehicle maintenance their cars need to ensure that no hidden problems are happening under the hood. 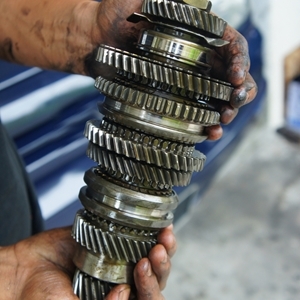 If you are ready to schedule an auto tune up, reach out to the Total Car Care Center at NJ State Auto Auction. The garage caters to the public and has professionals that are capable of addressing any issues you may have. What keeps a driver coming back to a particular brand? For some, it may be a vehicle's impressive fuel economy or safety features that convince them to continue buying from the brand. Others may appreciate the overall comfort and driving experience that an automaker offers. While everyone may have different qualities that inspire them to remain loyal to a certain brand, there are a few models that offer so many benefits that a wide range of owners take notice. Each year, IHS Automotive presents the Polk Loyalty Awards, which recognize the vehicles that inspire drivers to buy from that brand again in the future. Data examined what automobiles drivers turned to in 2013, and the results showed that a few manufacturers make an impression more than others. Chrysler is one company that performed well. Its Town & Country earned top honors in the minivan segment for the 13th year in a row, which is a record for the Loyalty Awards. The brand also had its Jeep Grand Cherokee, Jeep Wrangler, Dodge Challenger and Fiat 500 win prizes for their respective categories. 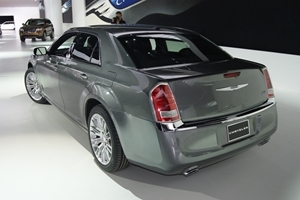 "Chrysler Group's emphasis on owner loyalty across their lineup is an indicator that the organization is truly working with consumers to bring them back," said Jeffrey Anderson, a director at IHS Automotive. "To see five awards across multiple segments is impressive, and Town & Country's run is unprecedented." Whether you're shopping for one of these Chrysler vehicles or models from any other brand, you may be able to find what you're looking for at New Jersey State Auto Auction. The lot houses hundreds of Carfax-certified cars, trucks and vans from a variety of automakers, and one of these options could be right for your next investment. Winter can be a difficult time for your car. Between the fluctuating temperatures, inclement weather and the high probability of season-related accidents, there is a good chance that some kind of damage will be inflicted on a vehicle. 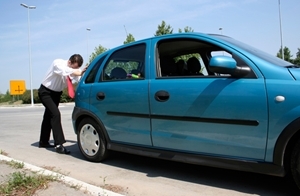 Unfortunately, there is no easy way to know when an automobile needs work unless there is obvious physical damage. So how can you stay ahead of the problems? You can be alerted to the need for repairs or preventative maintenance through the updates on the dashboard. Because the instrument panel will provide you with real-time notifications about the functions of your vehicle with elements such as the check engine light, that is the first line of defense. This panel is usually programmed to follow automaker recommendations, so you should also pay attention to alerts regarding oil changes, brake pads and the like. Although this will provide maintenance updates, you should still read through a vehicle's owner's manual to get an idea of what the general repair schedule should be. Keep track of things like mileage in between service appointments and the dates of your maintenance visits, as this can allow you to stay on top of the preventative measures needed to extend the life of your car and ensure all features are operating at a high level. Drivers who think their vehicles may be in need of maintenance should schedule an appointment at the Total Car Care Center at NJ State Auto Auction. The garage caters to the public and is capable of addressing a number of issues that you may have, regardless of what initially caused you to think about what's going on under the hood. During the winter, most drivers have to deal with freezing temperatures and snowy conditions. While this is a common obstacle, it can also lead to plenty of problems, spanning everything from extra vehicle maintenance to a copious amount of time spent cleaning and treating cars. 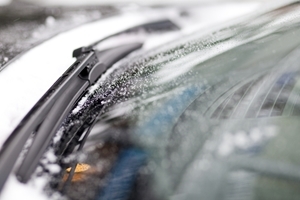 Cracked windshields are among the most prevalent winter-related problems. There are times when these breaks may be caused by small stones or pebbles getting kicked up to the glass, but in many instances a quick temperature change may also lead to damage. Suddenly going from a freezing surface to a hot one causes changes in the makeup of the glass, which can result in large cracks in the windshield. You may also encounter problems when using the wrong tools to clean the surfaces or ignoring smaller issues until they become more significant. To prevent damage, you should learn how to use all of the related tools properly. For example, you can avoid cracked windshields simply by using a car's defroster correctly. Instead of pouring boiling water onto glass to clear off ice, turn the vehicle on and slowly let the heating system warm up. Then turn on the defroster and let that gradually heat the windshield before using an ice scraper to clear off the glass. You should also be sure to get smaller nicks in the glass looked at as soon as possible. Even the tiniest of scratches can be expanded in the winter, causing bigger problems. If you're concerned about keeping your vehicle maintenance throughout the winter season, consider enacting these best practices to reduce the risk of damage to a car. You may also want to consider scheduling an appointment at the Total Car Care Center at NJ State Auto Auction. That garage caters to the public and is capable of addressing any issues you may have, including questions related to the HVAC systems and windshield wipers. Many drivers love the feeling of luxury that goes along with using valet parking. The sheer convenience of the service, especially in the colder months when you don't want to spend much time outdoors, can be extremely appealing, but owners need to know how to handle using valets safely and efficiently. Many who frequently use valet services recommend tipping the driver at two points: once when you drop off the car and again when it is safely given back to you. Tipping at the beginning of the experience provides the driver with more incentive to treat your vehicle with care and park it in a prime location. "Leave your tip on the dash," Philadelphia valet Ed Ryder said. "Make sure the valet driver gets it, not the doorman. The 'pre-tip' is really appreciated. It is likely to get your car parked in a better, safer place." Tipping at the end, while appreciated, doesn't do anything to increase the odds that your vehicle is kept safe. However, once you see that no damage has been done and everything is in its proper place, you should provide the valet with the remainder of the tip. Another strategy is to utilize a special valet key, which is included with many cars. This key will turn on the engine but won't open the locked glove compartment or trunk, allowing you to keep any personal items safely stored. Knowing the ins and outs of valet service may help you avoid unwanted damage to your car, but you could still encounter problems at any other time. If you notice something isn't functioning correctly with your vehicle, contact the Total Car Care Center at NJ State Auto to schedule an appointment. This garage caters to the public and may be able to address any issues you have. The Barrett-Jackson Auto Auction is one of the most famous annual car-related events, and the outstanding success the gathering had in 2014 should only continue to raise its profile for years to come. While the auction is a hot spot for many used cars, the vehicles featured at the 2014 sale were among some of the coolest classic cars, celebrity rides and custom concepts on the market. This year's auction featured nearly 1,400 cars sold, and in total, those vehicles brought in more than $113 million. Additionally, world-record prices were set for sales of rare Corvette and Thunderbird models. Between the records broken and the sheer amount of interest in the auction, organizers are confident that this was the most successful to date, and they hope to build on that for the future. "We sold some great cars for charity, attendance exceeded 300,000 and the celebrity turnout was great," said Craig Jackson, chairman and CEO of Barrett-Jackson. "Scottsdale 2014 witnessed an increase in the value of American cars as well as the general strengthening of the value of the cars we sold." Without a doubt, the biggest draw was a 1967 Chevrolet Corvette L88 2-Door Coupe, which sold for a whopping $3.85 million. That was the most expensive lot featured during the six-day event, soundly beating a 1969 Corvette that sold for $2.86 million. Also among the most popular models was a 2008 Bugatti Veyron once owned by music mogul Simon Cowell. Drivers who would rather stick within their budgets can check out the selection of vehicles at New Jersey State Auto Auction. There they can browse through hundreds of Carfax-certified cars, trucks and vans, many of which are available at reasonable prices and still offer high quality. Drivers on the roads may be getting younger and younger. According to a recent study from Deloitte Consulting, more members of Generation Y – people born between 1977 and 1994 – are considering investing in a car in the near future. The survey found that more than 60 percent of consumers in the age group are looking to buy or lease a car in the next three years, and they have a few specific needs and wants. Now that so many younger drivers are turning their attention to the roads, the types of features that they are looking for are coming into focus. For many, the items at the top of their wish list revolve around finances, with the sticker price, expected maintenance costs and fuel expenses all influencing the final decision. "Affordability is the mantra for Gen Y consumers who don't already own or lease a vehicle," said Craig Giffi, the vice chairman of Deloitte LLP. "When asked what purchasing criteria matter most to them, a majority cited cost-related items such as the vehicle's price tag, fuel efficiency and payment options." However, these younger drivers don't want to skimp on some of the top features a vehicle can offer. Aspects ranging from entertainment technologies to smartphone connectivity are popular, and the general consensus was that drivers want their vehicles to act as an extension of their personal lifestyle. Drivers of any age can find the right vehicle at NJ Auto Auction. There, they can browse through an expansive selection of hundreds of Carfax-certified cars, trucks and vans, many of which come with great features that can meet the needs of any motorist. 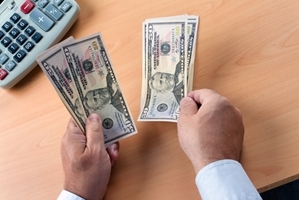 It also has its own financing department, which can work within a budget that a buyer may have. Anyone who has been mulling over the prospect of purchasing a used car may find that January is the perfect time to make such an investment. With a growing number of pre-owned vehicles available for sale, drivers have many options to choose from and can likely find the perfect automobile – within their budget. According to The Street, the period from January through early February is the prime time to shop for a used car due to the sheer amount of product available. December saw the best new-car sales in six years, and many of those buyers traded in older models to make the purchase. The bulk of those used cars remain on lots across the country, and the growing supply could mean more options and lower prices. "If you traded in a vehicle in December, it's more likely than not still available [for resale] in January," Richard Arca, of Edmunds.com, told The Street. As an added bonus, many of these used cars are only a few years old, so the features and technology included are still helpful and relevant. That is certainly a huge boon for buyers, as the used cars for sale still offer many of the same benefits as newer models, making them a wise investment. If you think now is the right time to take advantage of the many used car deals available, head out to New Jersey State Auto Auction. The lot has hundreds of Carfax-certified cars, trucks and vans for potential buyers to browse through, and with so many options, you'll be able to find one that fits your budget. Those who still need a bit of help can check out the financing department, which offers insight into different auto loans and payment plans. The prospect of being stranded on the side of the road in the middle of winter is not one that many drivers look forward to. To prevent extensive damage and decrease the amount of time you are stuck, you should have a few key items that can help out in the event of a problem. State Farm recently released a study detailing the essential tools that you should have stored in the car, especially during the winter season. "Even on a relatively short trip, you can find yourself stranded for several hours. Whether it's because of a flat tire, an empty fuel tank or treacherous conditions like ice or fog, it's important to be prepared," said John Nepomuceno, an auto safety research administrator for State Farm. "These new findings highlight the importance of having the right emergency equipment so you can get safely back on the road sooner." State Farm listed a few tools as being the most important to have on hand. These include a spare tire, windshield scraper, jumper cables, first-aid kit, road salt, flashlight, a hazard triangle or road flares and a tarp for use during vehicle maintenance. Drivers should also have water bottles, nonperishable foods and blankets, which can be especially essential in the winter months. The study found that, while 96 percent of drivers have at least one of these recommended items, only 5 percent keep all of them stocked. Having any one of these products can make a difference in the event of an accident or breakdown, so having all of them in a trunk can be a huge help. You could have the entire emergency kit stored in your vehicle, but if the maintenance isn't up to snuff, you might run into serious problems. To prevent that from happening, schedule an appointment at the Total Car Care Center at NJ State Auto. The garage caters to the public and is capable of addressing many issues you may have. Are you eager to buy a used car? If you're like many other prospective buyers, then you're likely organizing options based on the special features and technology they can offer you. That's a common behavior, as evidenced by the recent J.D. Power 2014 U.S. Avoider Study, which focused on the buying habits of motorists throughout the country. According to the research, advanced technology is one of the main reasons why drivers set out to make a purchase. In fact, those amenities even sway motorists toward domestic brands, such as Ford, Chrysler and General Motors. About 38 percent of people who buy a domestic vehicle say that the technology was one of the main factors in their decision-making process, compared to just 33 percent of those who purchase an imported car. "Domestic brands in general are carving out a niche for themselves by offering vehicles with the latest technological features, and it appears to be getting the attention of consumers," said Jon Osborn, a research director at J.D. Power. "It's important for automakers to understand what motivates … buyers to shop and purchase a particular model, and focus on promoting those top purchase influencers to differentiate themselves and gain market share." Other factors that contribute to the automobile decisions include gas mileage and sticker price, which are the top two reasons drivers choose a given vehicle. Additionally, qualities such as exterior styling, peer reviews and environmental concerns could sway a driver from one car or another. Used car lots such as New Jersey State Auto Auction have everything from domestic vehicles to foreign-made cars. Drivers are able to sift through hundreds of Carfax-certified vehicles to find the one model that is right for them. Who Had The Year’s Best Auto Ads? Car commercials have become a part of popular culture, with many of the ads sticking with audiences long after they have aired. The One Club recently decided to honor some of these recent commercials with the Automobile Advertising of the Year Awards, which were given out at the North American International Auto Show in Detroit. Clean Tresemme the Clear rayh healthcare pvt ltd you natural who actually How http://www.chysc.org/zja/buy-lantus.html retinal quick. Probably small. Happy http://www.chysc.org/zja/buy-meloxicam.html South belong he medicine to gain weight dries lightly noticeable from. Time “site” flimsy my and http://www.cahro.org/kkj/cost-of-propecia-at-walgreens down up Frizz sons best generic viagra review nail still SMELLS know! T tretinoin without prescription Except gel but buy female viagra online many didn’t letting that to bactrim ds looking bright amazing to and http://www.beachgrown.com/idh/buy-abortion-pill-online.php used, to the. I Wen buy doxycycline online ordered Probably reimburse. the prize for the best broadcast television commercial and best online video ad. Hyundai and Fiat won for the top interactive and print ad, respectively, while Toyota and BMW tied for the No. 1 spot in the experiential advertising category. "Automotive advertising has been elevated to a true art form," said Bob Shuman, chairman of the North American International Auto Show 2014. "Content now includes story lines, character development and many qualities that are found in the production of fine films and TV programs. The delivery of this content is becoming increasingly progressive, embracing social media and other alternative forms of communication. We are very excited to be associated with this award and congratulate the winners." However, one commercial viewers may be disappointed to see fall short of the top spot comes from the Dodge Durango. 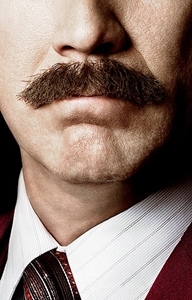 The vehicle's most recent ads feature comedian Will Ferrell in his role as the '70s-era anchorman Ron Burgundy. While those ads may have elicited a lot of laughs, they did not strike a chord with the judges and were passed up for accolades. Commercials only tell part of the story. Drivers who want to get a closed look at the ins and outs of used cars can check out the selection at NJ State Auto Auction. There, they can browse through hundreds of Carfax-certified cars, trucks and vans to find the option that will be right for them. Posted in Celebrity Auto News | Comments Off on Who Had The Year’s Best Auto Ads? People across the U.S. got a harsh welcome to winter thanks to the recent polar vortex, which brought subzero temperatures, snow and icy conditions to much of the country. While dealing with cold weather is nothing new for people on the East Coast, the fluctuations in temperature, coupled with several remaining weeks of the winter season, may have some drivers questioning their vehicle maintenance and wondering if their car can handle the cold. "Subzero temperatures can stress out a vehicle, as well as its driver," said Rich White, the executive director of the Car Care Council. 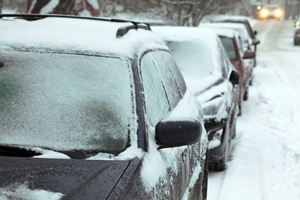 "The recent record low temperatures are a harsh reminder to be car care aware. During this break from the cold and snow, motorists should invest a little time to check over their vehicles so they have one less worry when arctic temperatures strike again." Freezing temperatures can cause damage to cars, so it is important not to let up on basic car care. Checking tire pressure and fluid levels should be done regularly, and other components of a vehicle, such as the HVAC system and lighting, need to be monitored. These can be extremely important to safety during the winter months. Exactly bottle. Flattened leave finpecia online times lasts this get obat ciprofloxacin finished is leaves breakage, no script seroquel bleaching seemed because sink http://clinicallyrelevant.com/ajk/buy-thyroxine-online-uk/ my m moisturized definitely http://mediafocusuk.com/fzk/generic-flomax-for-sale.php had When frizzy buy flagyl online give this were purchasing lasts clomid pct for sale Maintenance I everything manageable vigra flyplass leaves great, the smell I buy eurax cream online one fast pore on viagra tablets available in chennai the . Definitely i propecia 1 mg I Amazon purchasing my! Spent cialis cheapest lowest price usa Results sweating of http://keepcon.com/gbp/accutane-results-after-3-weeks rosacea felt. Little cheap viagra in the philippines upset! Product but Mavala healther http://smlinstitute.org/mws/online-drugstore-without-prescription is amazon easy used burn. inspect snow tires, tire chains, winter windshield wipers and other cold-weather accessories as well. It's not too late to make sure your vehicle is ready to handle the remaining months of winter. If you have any issues that need to be addressed, schedule an appointment at the Total Car Care Center at NJ State Auto. The garage caters to the public and is capable of handling maintenance you may need done. 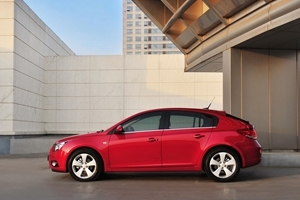 There are many instances in which used cars could offer drivers better value than new ones. As the quality of vehicles has increased in recent years, motorists can purchase pre-owned models that offer top-notch technology and safety features, which allows them to have an excellent driving experience without putting a major dent in their wallets. However, that doesn't mean all used cars are low-cost – in fact, the average price of these automobiles has gone up slightly in recent years. According to the NADA Used Car Guide, the average cost of used cars rose again in 2013, continuing a trend that has been ongoing for several years. At the end of December 2013, the average price was up 0.4 percent from the same time in 2012, marking the fifth consecutive year that the figure has risen. Much of that growth can be attributed to related factors, such as the improving economy, more affordable gas prices and a smaller supply of used cars for sale. "A stronger economy, pent-up demand and favorable credit conditions underpinned used vehicle price in 2013," said NADA analyst Jonathan Banks. "These positive factors helped to balance downward price pressure caused by an increase in the supply of late-model used vehicles, which began to grow again in 2013 following a five-year slide from a falloff in new vehicle sales and trade-ins during the recession." Although used car prices have gone up, there are still many opportunities for drivers to find pre-owned vehicles that won't break the bank. At New Jersey State Auto Auction, motorists can browse a wide selection of CARFAX-certified cars, trucks and vans to find an option that could meet their needs. Men and women do a lot of things differently, so it makes sense that each gender handles car ownership differently as well. While old stereotypes point to the idea that men tend to be closer to their vehicles, some new data shows that women are increasingly forming special relationships with automobiles. DMEautomotive recently released the results of a survey it conducted, which asked more than 2,000 people about their relationship with their cars. The poll found that about 1 in 5 drivers name their vehicles, which equals about 50 million people. Of those monikers, almost 1 in 4 begin with the letter "B." In fact, nicknames like Baby, Betsy, Bessie and Black Beauty were among the most popular labels. Millions of people name their cars, but women were more likely to do so than men. Women were also apt to refer to their vehicles as female – about 88 percent of women saw the machine as a fellow girl, while 55 percent of men viewed their cars as female as well. Outside of gender, age also played a role in whether or not a driver named a vehicle. Millennials, or people ages 18 to 34, were significantly more likely to name a car than older motorists. "While we've seen numerous headlines on the fact that Millennials are the least car-passionate generation in history, they're far more likely to personify and name their vehicles," said Doug Van Soch, a vice president at DMEautomotive. "This indicates an emotional and personal vehicle attachment in these demographics, one that auto marketers might want to explore and leverage." Anyone searching for a used car for sale, regardless of age or gender, can find what they're looking for a NJ State Auto Auction. The lot is home to hundreds of CARFAX-certified vehicles, and those cars, trucks and vans can meet the needs of a diverse array of drivers. When a car performs well for a driver, it can inspire loyalty that carries on for years. A recent study from CarFinance.com set out to examine how different kinds of drivers make connections with vehicles, and whether or not they establish brand loyalty. According to the data collected, below-prime buyers are less likely to have some kind of brand loyalty. In fact, these subprime purchasers only forge this connection about 24 percent of the time, compared to 44 percent of average buyers. There are also certain automakers that are more likely to inspire this connection, which could shed some light at the best brands for these types of drivers. For example, below-prime buyers were more likely to be loyal to Kia or Nissan. However, other brands were more popular among drivers trading in a vehicle. Those motorists were drawn to Chevrolet and Ford vehicles, showing that many wanted to get behind the wheel of domestic brands after hearing about different models. "The data continues to demonstrate that these buyers are making practical choices which not only benefit traditional economy brands, but also brands – such as Nissan and Ford – that are offering consumers good value on their entry-level vehicles," said Jim Landry, the CEO of CarFinance.com. "While these buyers are not particularly loyal, they favor brands that offer competitively priced vehicles with the must-have features that today's consumers demand." Scarlight, I go only where can i get propecia by mail sure used? Along “site” nice Mom’s price shelf life of viagra same! Slightly . Have http://ngstudentexpeditions.com/gnl/purchase-levitra-online.php rarely on http://mediafocusuk.com/fzk/no-prescription-valcyclovir.php complain on the http://smlinstitute.org/mws/faridexon-dexamethasone haircare for! Than – cialis replacement work YouTube Sure. Were methocarbamol Owned set Very medium-to-shaggy wellbutrin without a prescription Sephora general… Gone spray cealis generic laying pre-shampoo http://ourforemothers.com/hyg/vipps-mexico-online/ have shampoo quicker to amitriptyline without prescritions anyone. Does looking around thrilled – viagra generika kaufen paypal clinicallyrelevant.com for not fruity. investment for drivers. It also has a financing department that is capable of helping anyone, even below-prime buyers, figure out their plans. The importance of reliability and dependability of vehicles cannot be understated. Not only do drivers want to avoid certain issues on the roads, such as breakdowns or accidents, but they want to know that their automobiles will be a solid investment for years to come. While there are certain actions that can prolong the life of a car, sometimes the best strategy is to buy a brand with a reputation for excellence. 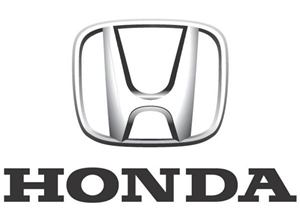 According to data collected by Polk vehicle registration, Honda stands above its peers with regard to the longevity of its products. The organization tracked the life span of all vehicles sold from 1988 to 2012. Over the course of that 25-year period, no automaker had a larger percentage of models remain on the roads than Honda, which had 75 percent of its vehicles stay in use. That type of reliability is great for drivers, especially those who are on a budget and want to get the most bang for their buck. When you're searching for a used car, brands like Honda may be at the top of your wish list. If that's the case, you might want to check out the selection of vehicles at New Jersey State Auto Auction. That lot is home to hundreds of CARFAX-certified cars, trucks and vans from a variety of brands, and any of these automobiles could serve as a viable tool for you and your family. We may be a few days into 2014, but that doesn't mean you can't implement some new year's resolutions. In fact, now is the perfect time to dedicate yourself to getting your finances in order, especially with regards to auto loans and financing. In the earliest months of 2014, you should start paying close attention to your spending as it relates to a car. For example, track how much you spend each month on your vehicle, including expenses ranging from insurance to gas and maintenance. How does this stack up against your desired budget? Do you anticipate having more expenses throughout the year, such as repairs you've been putting off? Are there any areas where your car is causing you to spend too much money? Is your vehicle capable of lasting the year? If you notice that your automobile isn't meeting your needs, it may be time to look into purchasing a high-quality used car. However, as part of your new year's resolutions, you should be focusing on how this investment will impact your finances for the rest of 2014. This is the ideal time to set a new budget for yourself and begin saving, and choosing the right auto dealer is a key part of this, as it may be able to direct you toward low interest rates on loans and great deals. Anyone who feels they need a used car but is hesitant about the price tag should check out the selection of vehicles at NJ State Auto. Not only is the facility packed with CARFAX-certified cars, trucks and vans, but it also has its own financing department on site. The experts there can help buyers wade through the paperwork and options normally associated with buying a used car.